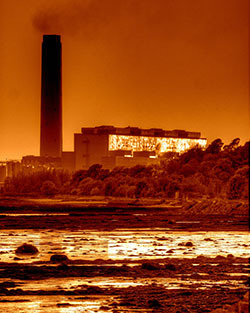 The 2015 Faculty Sustainability Fellows will gather for a series of learning opportunities and discussions this fall concentrating on the connections between climate change and social justice. Sherburne Abbott, vice president for sustainability initiatives at Syracuse University, and Steven Affeldt, director of the McDevitt Center at Le Moyne College, have announced the 2015 Faculty Sustainability Fellows. The fellows from each institution will gather for a series of learning opportunities and discussions this fall, concentrating on the connections between climate change and social justice. It will be an opportunity for faculty from a wide variety of disciplines to share their perspectives and brainstorm collectively about how to bring these issues into classroom lessons and student research. Ronald Wright, business administration (Le Moyne Madden School of Business), to develop a new case for an upper-level class, focusing on the decision-making process of an electric utility in response to environmental legislation. 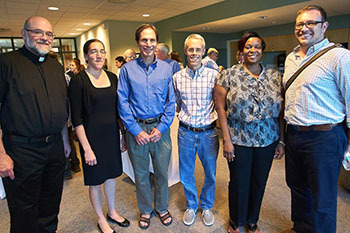 2015 Faculty Sustainability Fellows, from left: Adelmo Dunghe, Gwendolyn Morgan, Doug Frank, Jim Hannan, Kishi Ducre and Evan Weissman. Not pictured: Ronald Wright. Each fellow will receive a small stipend and the opportunity to apply for some additional funding to advance a teaching project. All fellows will attend three events this fall: a roundtable at Le Moyne devoted to Pope Francis’s encyclical on climate that was issued over the summer; a lecture at Le Moyne by renowned climate scientist Michael Mann and the University Lecture at the University by Naomi Klein, author of “This Changes Everything: Capitalism and the Climate” (2014).